As the rumors continue to swirl that Anna Wintour is set to leave American Vogue after 30 years in the biz, she continues to throw us curveballs with her cover choices of late. 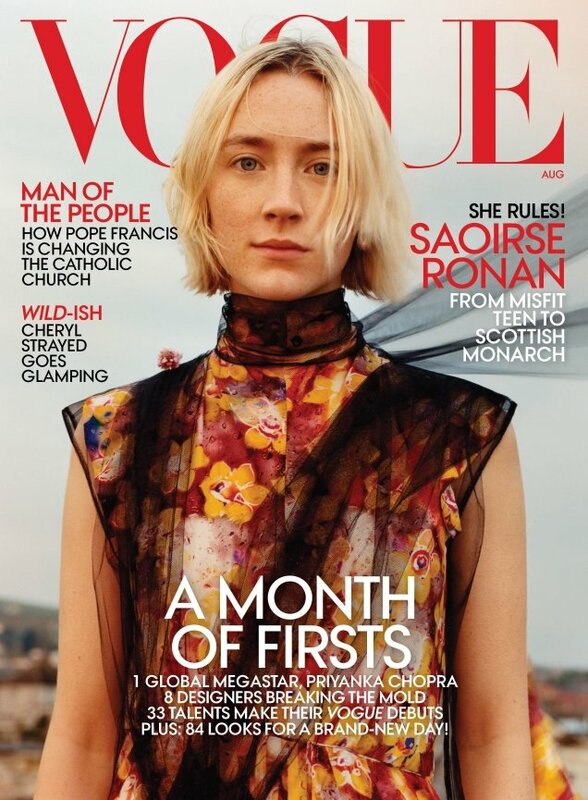 We were blessed to have a Gisele Bündchen cover last month (models being such a rare sight on mainstream fashion glossies) and now Anna has given the cover to someone we’ve never had the pleasure of seeing on Vogue before: Saoirse Ronan. Also making their debut is photographer Jamie Hawkesworth, who captured the Oscar nominee in golden-hour light down at the seafront. Styled by Camilla Nickerson, the Irish-American actress wears Prada and looks ethereal during sunset for August 2018. Members of our forums either loved or loathed what they saw. “I will most definitely buy this. She looks sour but it’s great to see Jamie and Saoirse get a cover. And that Prada collection photographs like a dream!” ThatGuyPaul raved the moment the cover came to light. “I’m happily amazed at Anna’s cover choice! Someone totally different and out of her comfort zone! My favorite cover this year!” heralded Handbag Queen. “I completely love this cover, I hope I’m not biased because I’ve been a fan of Saoirse since Atonement so I’m happy all the recognition she’s getting and she really deserves to be on the cover. I’m very happy for Jamie too, I love his work and this cover and editorial is amazing,” pivoslyakova championed. Everyone else, however, utterly loathed Vogue‘s attempt at something different. “DOUR! UNFRIENDLY! MISERABLE! SOLEMN! GRIM! & GLUM! This cover makes me depressed. There’s no glamour, no styling whatsoever and the hair and makeup people did her dirty,” complained a far from overjoyed Khabeer. “Where’s the glamour?! This is Vogue! Let’s lift it,” mocked A.D.C. Love it or loathe it? See more from Saoirse’s cover feature and join the debate here.